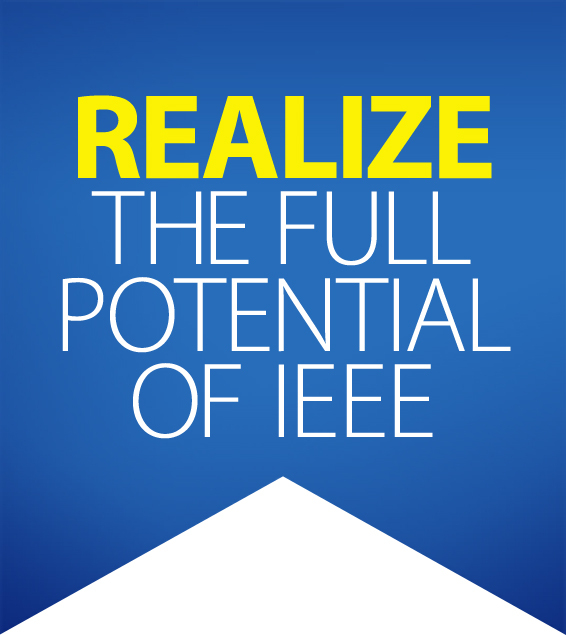 Each year EPICS (Engineering Projects in Community Service) in IEEE aims to answer the question: Why are we unique? EPICS in IEEE operates on a global partnership model where students actively collaborate with local service organizations and community leadership to address localized challenges. In the process, students become better equipped for the future by gaining technological experience with a global perspective. The program also serves as an effective recruiting tool for STEM-oriented professions, with young women making up one-third of the participants. Since 2009, EPICS in IEEE has funded 96 projects across 34 different countries and has made a tangible difference in the lives of more than 221,000 people. Fifteen new projects were funded in 2017, bringing the total grant amount awarded to $583,577. Research has shown that independent mobility positively impacts motor, cognitive, language and social-emotional development. “Go Baby Go” is a national, community-based research, design, and outreach program that creates modified ride-on cars for young children with mobility issues. Wichita State University (WSU), KS, US, and IEEE-Eta Kappa Nu (HKN) partnered with the nonprofit organization Rainbows United, Inc. (RUI), whose mission is to enhance the lives of children with special needs and their families by bringing together community resources and providing customized services. A 2016-2017 EPICS in IEEE grant of $10,000 has helped WSU continue the “Go Baby Go” partnership by supporting the creation of accessible, personalized ride-on vehicles that enable independent mobility for young children with special needs. “Go Baby Go” cars are modified through novel engineering techniques using plastic pipes, plastic foam swim noodles, kickboards, fabric fasteners, a toddler car seat, and an activation switch. Every car is modified based upon the child’s condition – from Down syndrome to conditions that require the aid of a ventilator. 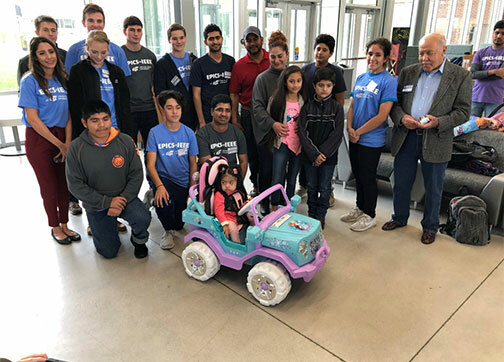 In June 2017, WSU students presented the first personalized, off-the-shelf, ride-on car to Aaron, a two-year-old boy with spinal muscular atrophy (SMA). Due to Aaron’s degenerative condition and eventual loss of motor function, his car featured a touch panel with controls for movement. The touch interface is an Android tablet with an Android app to control the movement of the redesigned ride-on car. The IEEE Western Puerto Rico Section and EPICS in IEEE supported the deployment of OASIS of Light – solar power charging stations. 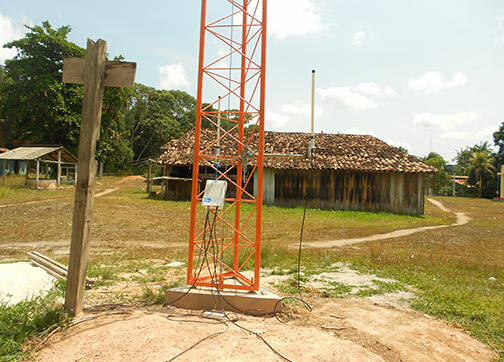 An EPICS in IEEE team completed a project to introduce telecommunications services to isolated, rural communities in the Amazon region of Brazil. The IEEE Centro-Norte Brazil Section and the IEEE Student Branch at Federal University of Para (UFPA) completed the project by erecting a cellular base station and tower in the small agricultural community of Itabocal, Brazil. The base station can run mobile services including voice calls, SMS and the internet. Enhanced health, education, and safety as well as the facilitation of small business development are just some of the benefits enabled by cellular connectivity.